Our plug and play SMART Triple Play® module allows for additional rear lighting to function as run, brake, turn. Unit adds 10 user selectable brake light strobe/flash patterns (user can also select no strobe/flash on brake). Additional functions include selectable running light intensities and built in SMART function which allows normal turn signal flash to override the brake strobe/flash when simultaneously braking and turning. Simple installation with 8 pin connectors for plug into stock wire harness with included Posi-Lock® connectors for rear lighting hookup. 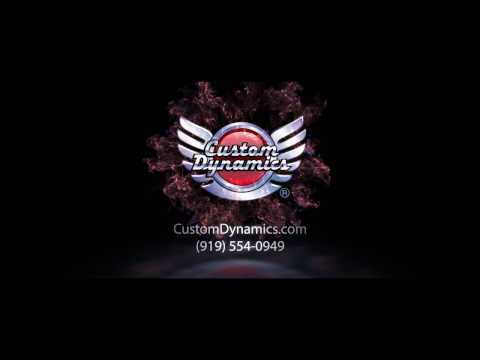 Works with Custom Dynamics® SS8 Bagz™ Saddle Bag Lights or any additional auxiliary rear LED lighting. The use of this product may require a Signal Stabilizer™ or load equalizer (2011-2018 Softail®, 2012-2017 Dyna®, 2014-2018 Touring, 2014-2018 Sportster® models do NOT require a Signal Stabilizer). -- Please Select --Yes, Add Signal Stabilizer (GEN2-SS8) + $74.95 Yes, Add Load Equalizer (GEN-5.6-15) + $15.25 No thanks, I already have one. Slim Line Design: 4.2" x 1.4" x 0.6"
The use of this product may require a Signal Stabilizer™ or load equalizer.